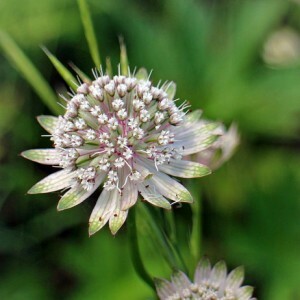 Astrantia is the perennial grassy plant belonging to the family of Umbelliferae), or Apiaceae. Today it is precisely not known, but the name of this plant from where went, but it is considered to be that, most likely, in a name the widespread Latin word "Aster" that is translated as "star" makes a basis. As well as Astra, Astrantion the appearance reminds a star which surprisingly "lights" a garden during the whole summer. In a wild-growing look Astrantion can be met in the deciduous, mountain woods and on meadows of Europe, Asia and the Caucasus. In the nature of our country also grow some species of this plant, however they are rather rare and included in the Red List. In England, this plant in an ancient way called as Hatti's Needle case became popular in the XVI century. Masterwort. Masterwort variety. Masterwort cultivation.